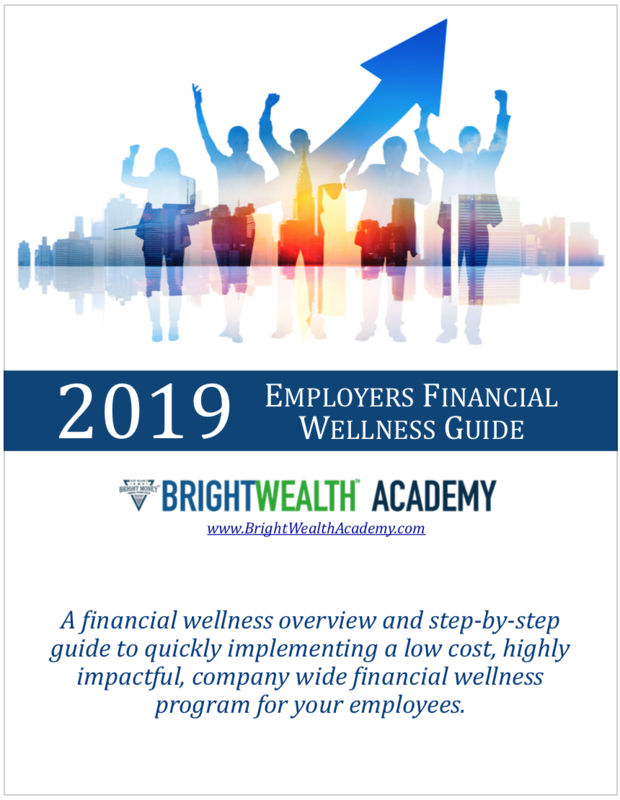 If you're thinking about implementing a financial wellness program in your business, download this free 2019 Employer's Financial Wellness Guide. Everything you need to know about installing a Financial Wellness Program in your company. This guide paints a clear picture of what a successful employee financial wellness program should look like, and will help you decide whether to move forward with scheduling an IMPACT employee promotional workshop. PROBLEM ... Financial stress is a national epidemic. Impact is a 45 minute PROMOTIONAL workshop that gets your team thinking about money, the decisions they have been making, and the results they are achieving. Limit one free workshop per company. © Copyright 2018-2019 by BrightWealth Academy. All rights reserved.